Jordan Brand is definitely not playing this year and proof was in the pudding when they collaborated with Supreme on an Air Jordan 5 set. 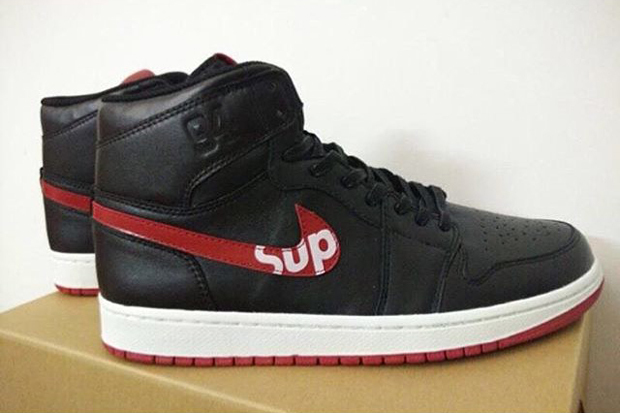 Now, it looks like Supreme will be collaborating with Jordan Brand once again on the Air Jordan 1. 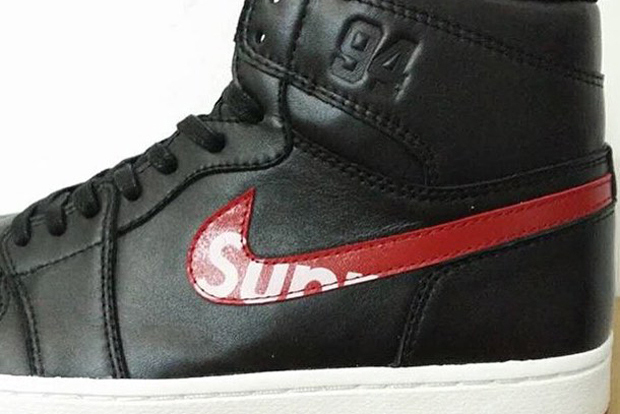 Here we see a High version of the AJ 1 sneaker featuring Supreme branding on the swoosh. Black leathers, red and white are the theme for this upcoming collab with more information pending. 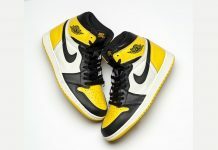 Stay tuned for more news on this upcoming Air Jordan 1. 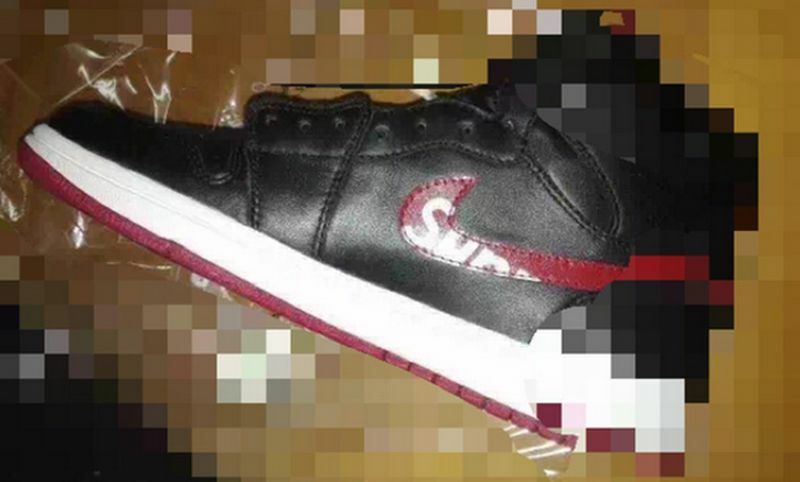 Update 8/17: A new photo of the upcoming Air Jordan 1 x Supreme has surfaced. Replacing the classic wings logo on the collar, is an embossed 94 and Supreme branding on the swoosh. No word on when these will release but stay tuned with Modern Notoriety. 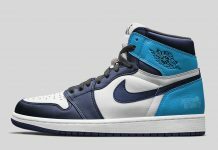 Update 8/24: According to fellow sneaker blog TheShoeGame and their sources, the reported Air Jordan 1 x Supreme photos circulating are FAKES and are not in production for either brands. It seems that Chinese factories ran with a design Dan Freebairn (aka @Kickposters) composed and plan to release the inspired replica. Supreme and Air Jordan fans alike can rest easy. 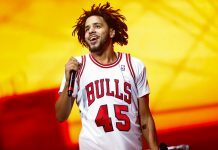 Resellers, on the other hand, should start planning on the next hype sneaker to invest their capital in.